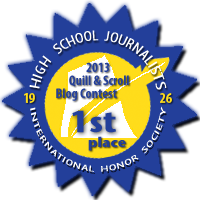 This week I'm delighted and honored to announce that the Pre-Shortzian Puzzle Project blog won First Place in the Quill and Scroll 2014 International Writing and Photo Contest – Blogging Competition! Quill and Scroll is an international high school journalism honorary society that encourages and recognizes individual student achievement in journalism. This award came as a big surprise and means a great deal to me, because the blog has become a major part of the Pre-Shortzian Puzzle Project effort and community. The judges also made some great suggestions for the blog, which I'm planning to incorporate. Thanks so much, Quill and Scroll! It's been a busy week on both the litzing and proofreading fronts! Saturday morning, Jeffrey Krasnick sent in a month of proofread puzzles, and then Sunday morning, new litzer Matt Skoczen sent in 1 puzzle. Early Wednesday morning, Todd Gross sent in 10 proofread puzzles, and that night, Mark Diehl sent in his final 19 litzed puzzles, putting his grand total at an amazing 4,400 litzed puzzles—congratulations, Mark! Early Thursday morning, Todd sent 10 more proofread puzzles, which were followed by 4 litzed puzzles from Larry Wasser later on; that evening, Mark sent in a week of proofread puzzles. And this week Howard Barkin sent 2 months of proofread puzzles. We're now at 15,943 on the litzing thermometer and almost finished with the 1976 proofreading—thanks so much, everyone! I've received a few more inquiries about proofreading, this week from John Bulten, Mark Diehl, Jim Modney, Susan O'Brien, and Larry Wasser. If you'd like to try your hand at the proofreading self-test—which is chock-full of mistakes!—just send me an e-mail. 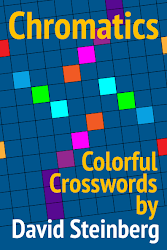 I also received an e-mail from Jim Horne of XWord Info this week with an interesting observation about pre-Shortzian grid designs: Some constructors consistently used the exact same grids (with different fills, of course), which suggests that they might have had a slightly different philosophy about which themes to develop into puzzles. Instead of building a puzzle around any theme that piqued their interest, Jim suggests that these constructors may have started with the constraint of an easy-to-fill grid and just tried to fit their best ideas into it. Jim cited the example of prolific Maleska- and Weng-era constructor H. Hastings Reddall, who currently has 18 puzzles posted on XWord Info. Reddall's four most recent constructions have identical grids, and the pentad before these use the same pattern as well. Reddall's December 9, 1985, puzzle, with its scads of seven-letter words, has a distinct grid, but the eight puzzles he published before this one all use (drumroll, please!) the exact same grid skeleton! Well, one of these puzzles includes an extra pair of cheater squares, but the grid's framework is pretty much the same. I find it fascinating that many of the puzzles Reddall constructed using each of his three major grid patterns also have conspicuous thematic similarities. Three of his four puzzles using "Grid #3" have patriotic themes: the July 4, 1986, puzzle features the entries INDEPENDENCE DAY, STARS AND STRIPES, and STATUE OF LIBERTY; the September 17, 1987, puzzle features THE CONSTITUTION, THE LAW OF THE LAND, and ATTORNEY GENERAL; and the June 14, 1989, puzzle features AMERICAN FLAG DAY, STARS AND STRIPES, and RED WHITE AND BLUE. 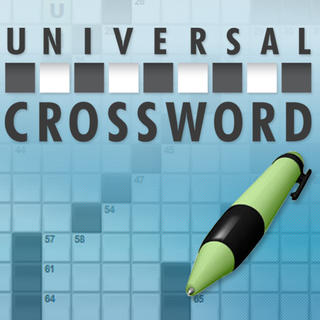 Of the puzzles using "Grid #2," the more recent three have animal-related repeated word themes centered around CAT, DOG, and TAIL, respectively, and the other two have boys' names and girls' names themes (with entries such as ALFRESCO and RUTHLESS). And of the puzzles using "Grid #1," four have patriotic themes similar to those described above, two have avian themes, and two have repeated-word themes centered around GOLD and THREE. I wonder whether Reddall or either pre-Shortzian editor was aware of these commonalities. Well, either way, it definitely appears that Reddall knew what Maleska and Weng were looking for! Such stylistic patterns and Jim's enlightening proposition also make me wonder whether identifying the constructors of some authorless pre-Shortzian puzzles might be possible by construction style alone. 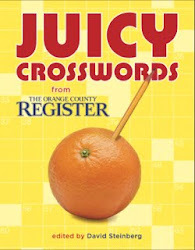 For example, I've seen many authorless, pangrammatic early-Weng and late-Farrar puzzles that scream William Lutwiniak. 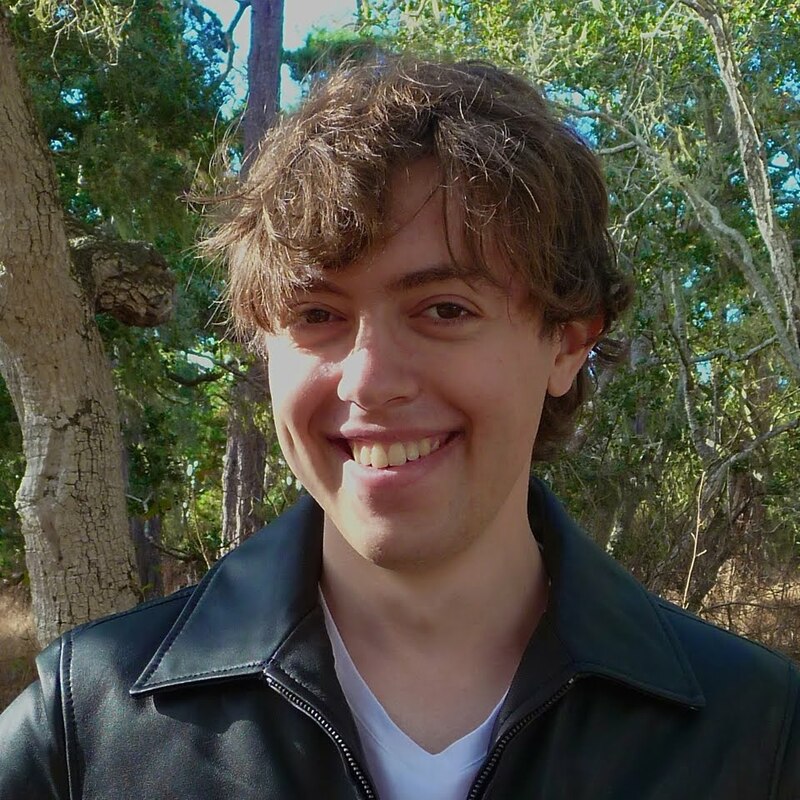 Perhaps it would even be possible to write a computer program to spot geometric and thematic patterns and make educated guesses about the authorless puzzles' constructors! All existing pre-Shortzian data could first be fed into the program and analyzed based on predetermined stylistic factors (number of theme entries, number of blocks, etc.). 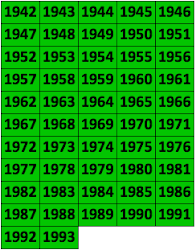 The program would then return its best three or so guesses as to the author of each puzzle and state how confident it was (that is, how good of a match for the puzzle in question it found within the existing data) about its predictions. I don't think automatically assuming that the computer program was correct would be a good idea, especially since constructors vary in terms of predictability and since it's quite possible that the spreadsheet doesn't currently represent the complete pool of published pre-Shortzian New York Times constructors, but such a program would certainly be interesting to experiment with. The program might also be able to draw parallels between certain known constructors, which could be equally fascinating! Thanks again, Jim, for bringing these similarities to my attention. 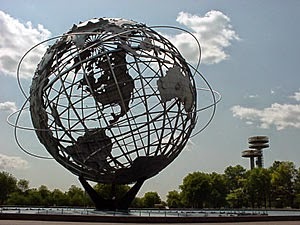 Clue: Symbol of New York World's Fair. Clue: Fountain at the Fair. Clue: Destination of a World's Fair voyage. Clue: Hub of the World's Fair. Image courtesy of NYC Parks.